Forest fires burn more rapidly going uphill than down. Rising heat and smoke dry and preheat the fuel. When the wind is behind a fire going uphill, it is very hard to stop it. This was the combination that burned down much of Ananda Village in June 1976. All these years later, we haven’t forgotten. So in August 2004, at the end of a long dry summer, when a fire started roaring uphill with the wind behind it, we had no illusions about how dire the consequences might be. Right in its path was a cluster of houses and the Expanding Light Retreat. Volunteer firefighters in the community, plus untrained residents and many guests, sprang into action to protect a few of the smaller buildings. Air tankers and helicopters began dropping water and fire retarding chemicals on the blaze. Forty trucks and four hundred firefighters arrived in an effort to contain what was rapidly becoming a raging inferno. “This is the kind of fire that easily gets out of control and burns thousands of acres and hundreds of homes,” the fire chief told us. Community members gathered on the front lawn of the market. Devi organized a prayer circle, starting with about twenty people, soon expanding to fifty or more. Together they visualized the fire itself and all those affected by it: buildings, plants, animals, and people. Systematically they brought to mind each aspect, surrounding it in light, and praying for well-being, safety, and divine harmony for all. After each prayer they chanted AUM three times. AUM is the all-pervasive vibration of the universe, the substance from which all created things are made. 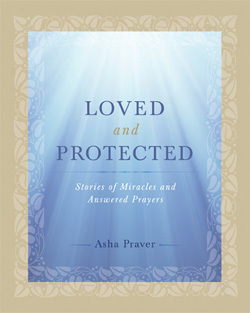 Asha Praver is Spiritual Director of Ananda Palo Alto. Her sermons and classes are extremely popular, and most are available online. She was a founding member of Ananda Village, having first met Swami Kriyananda in 1969. All content © 2013, Asha Praver. Powered by Blogger.